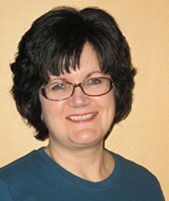 Max’s intelligence, sincerity, and loyalty to her friends made her an enjoyable character. This is the perfect mystery to cozy up with, especially in the fall. The unique occupation of our amateur sleuth makes this an unforgettable mystery. I’m looking forward to reading the other books in this series. 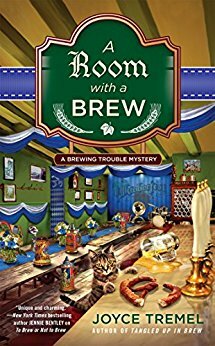 Her debut mystery, To Brew Or Not To Brew was nominated for the 2015 Reviewers’ Choice award for Best Amateur Sleuth by RT Book Reviews. The second book in the series, Tangled Up In Brewwas released in October 2016 and chosen as a “Top Pick” by RT Book Reviews. It was the winner of the 2016 Reviewers’ Choice Award for Best Amateur Sleuth. It was also named one of the Best Books of 2016 by Kings River Life Magazine. so someone hiding a keg somewhere? it would be explosive! Sounds like a fun book. Thank you.